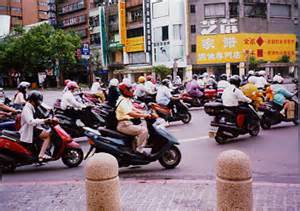 The popolation in Taiwan is approximately 23.4 million, spread across a total land area of about 36,000Sq. Km., it is the sixteenth most denesely populated country in the world with a population density of about 650 inhabitants per square kilometer. The larger part (98%) of the country's inhabitants are the descendants of immigrants from the various provinces of mainland China, in particular from the southeastern coastal provinces: Fujian and Guangdong, they could be further divided into Hokien(70%), Hakka (15%) and various provinces (13%). While 2% are aborigines, the original inhabitants, they have 16 different tribes, namely Amis, Atayal, Bunun, Paiwan, Puyuma, Rukai, Hla'siua, Tao Thao, Tsou, Kavalan, Truku, Sakizaya, Sediq, Kanakanavu and Saisiyat. Intermarriages are rising not only between the Taiwan people, but also between Taiwan and foreigners, about 15% of all marriages in Taiwan today, are between a Taiwanese and a foreign spouse. Over all Taiwanese are nice and friendly people. The official and national language of Taiwan is Mandarin (or Guoyu - meaning National Language). Because the inhabitants are the descendants of immigrants (population about 70% of the population of Han Chinese) was from southern Fujian so their dialect is also widely spoken in Taiwan, it almost become the 2nd language of Taiwan. Taiwanes doesn't not like the "Tai Gee" dialect to be transleted as "Hokin or Minnan". This group of descendants are mainly from Guangdong and some was from inland fujian, the never forget their mother-tougue although they only represent 15% of the Han Chinese. Aborigines have their own tribes' dialect and they do speak them within their own tribes. English: Is the most popular foreign language in Taiwan. Although English is the most popular freign language in Taiwan, howevr, for your own convenience, when taking a taxi in Taiwan is advisable to prepare a note with your destination writtern in Chiese. Japanese: Many elderly people also speak Japanese, as they were subjected to Japanese education before Taiwan was returned to Chinese rule in 1945 after the Japanese occupation which last for 50 years.